By the time Jeff Beck recorded 1976’s platinum-selling Wired, the former Yardbirds guitarist had moved on from the blues rock of the 60s and chased a new musical obsession: fusion. 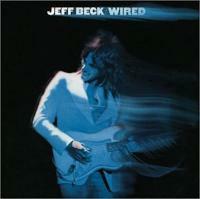 With George Martin at the production desk, and prominently accompanied by Jan Hammer on synthesizer, Narada Michael Walden on drums, Wilbur Bascomb on bass, and Max Middleton on Clavinet, Beck recorded an entirely instrumental album of fusion material. 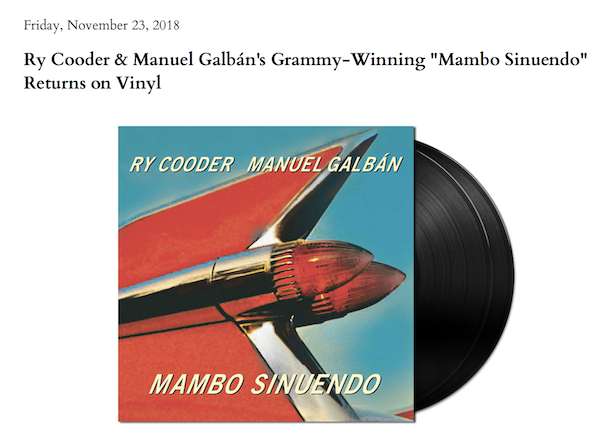 Winner of the 2003 Grammy Award for Best Pop Instrumental Album, this sublime collaboration with Cuban guitar great Manuel Galbán was issued on vinyl for a blink of the eye and was quickly out of print. Now it's again available on vinyl. Walk through the Campanile Golden Tulip and Radisson Sobieski Hotel exhibits at Audio Video Show 2018 Warsaw with AnalogPlanet editor Michael Fremer. 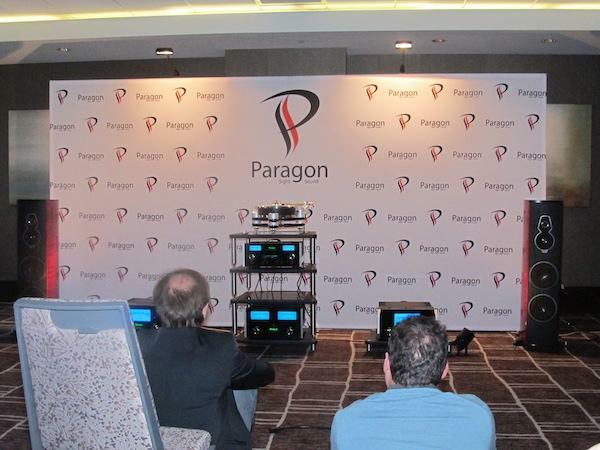 Warsaw, Poland's Audio Video Show has grown almost exponentially over the past 20 or so years. Today it's Europe's second biggest show (after Munich) and this year it expects to attract over 15,000 visitors in three venues: the Radisson Sobieski, the Golden Tulip and the skyboxes at the enormous Stadion Narodowy. 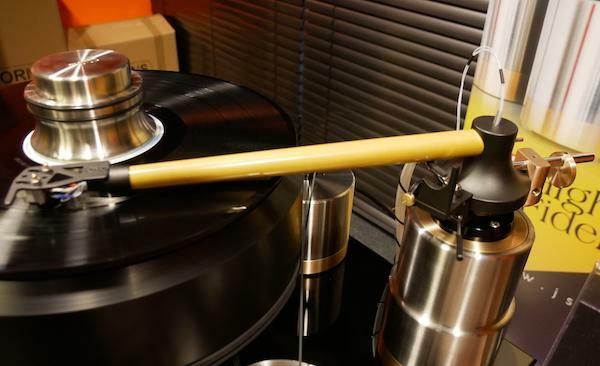 Like the LP itself, the dream of a turntable that could read grooves with a laser beam would not die. 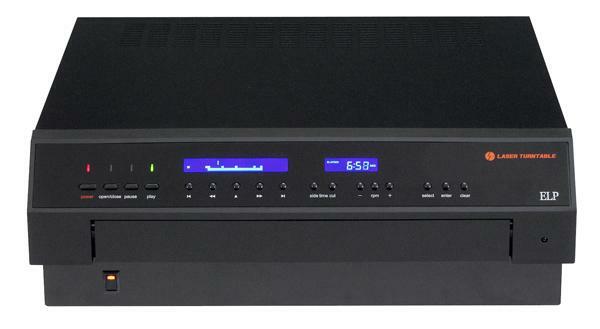 The Finial Technology laser turntable has been resurrected as the ELP Laser Turntable by the ELP Corporation of Japan. 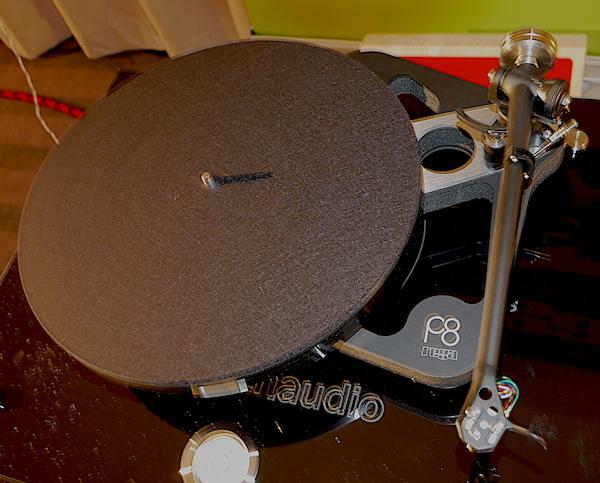 ELP is headed by Sanju Chiba, an analog true believer and ELP, which has been building and selling the Laser Turntable since 1997, recently announced three LT models with improved sonic performance and user interfaces, including CD-like programmability and remote control. A New Zealand-based reader recently emailed asking if Mobile Fidelity's double 45rpm monophonic Bob Dylan reissues were "worth the money". He added that he was a big Bob Dylan fan. At Making Vinyl 2018 "The New Business Model Filling The Vinyl Pipeline"
Hosted by AnalogPlanet editor Michael Fremer and featuring Chad Kassem (Acoustic Sounds/Analogue Productions/Quality Record Pressing), Josh Bizar (Music Direct/Mobile Fidelity), Cameron Schaefer (Vinyl Me, Please) and Jay Millar (Sundazed), this lively panel discussion features vinyl industry pioneers specializing in high quality all-analog reissues, a newcomer who built a successful subscription service and a spokesperson for an eclectic label that began reissuing on vinyl at a time when the industry declared the format dead "oddball" and obscure artists along with many well known ones. Shows on Both Sides of "The Pond" This Weekend! Audio shows happen this weekend in England and America. 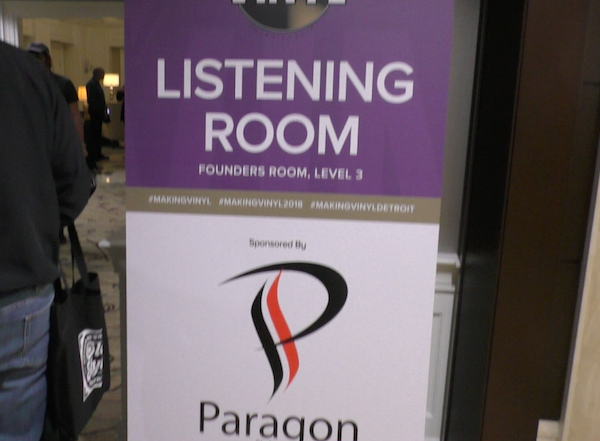 At last month's "Making Vinyl" conference in Detroit Keynote speaker Steven Van Zandt chose not to present a formal address. Instead, he sat down with music journalist Gary Graff to talk about his relationship with vinyl records and especially his TeachRock (teachrock.org) organization that provides to schools free of charge music educational resources. Over the past 70 years, the world has been treated to Christmas songs recorded by Bing Crosby, the Vince Guaraldi Trio, Nat “King” Cole, and many others. These classics evoke the wonderful feelings of the holiday season among listeners of all ages. 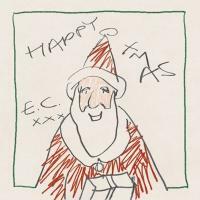 Happy Xmas is Eric Clapton’s attempt to create his own seasonal classic. With a “slight blues tinge” to holiday favorites, he falls painfully short with an amazingly boring, emotionless, and by-the-numbers album.